University of Saskatchewan Students do Wildlife Necropsies! 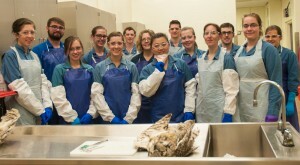 On November 5th the Canadian Wildlife Health Cooperative (CWHC) Western Northern Region, in partnership with the local student chapter of the Wildlife Disease Association (WDA), hosted a wet-lab to give students an opportunity to perform post mortem exams on wildlife samples submitted to the CWHC. Ten WDA student club members gathered in the post mortem suite at the Western College of Veterinary Medicine where they watched a demonstration of a standard avian autopsy protocol by wildlife pathologist Dr. Steve Scott. After watching the expert do his thing, they each got a first hand taste of the fact that it’s harder than it looks! 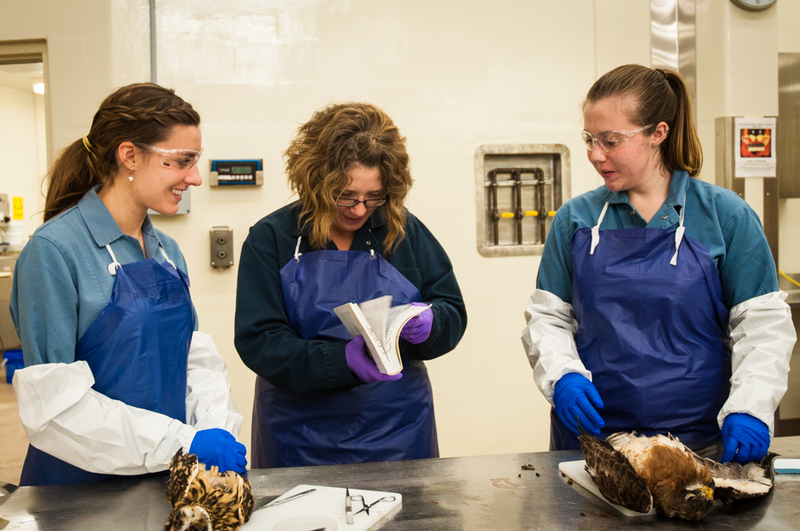 Student members (vet students and non-vet students alike) performed their own autopsies on one of the available bird specimens ranging from birds of prey to waterfowl to woodpeckers. 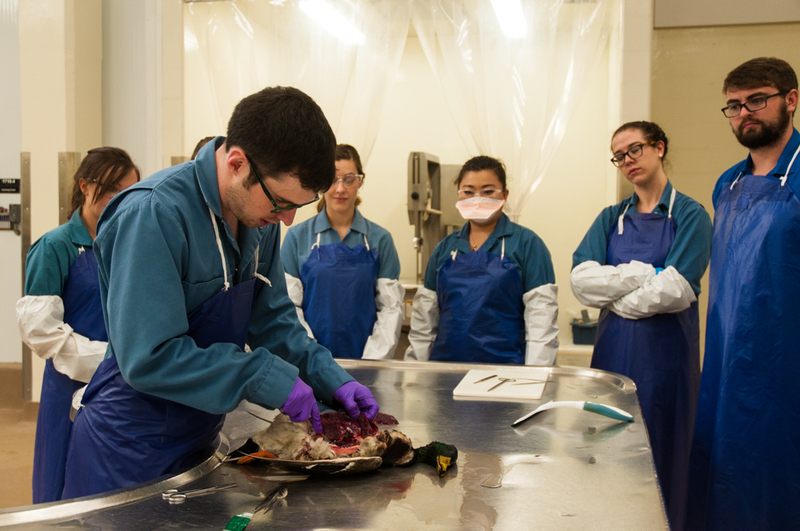 Luckily there were lots of CWHC staff volunteering to teach, guide and help throughout the process including biologists, pathologists, and pathology residents. 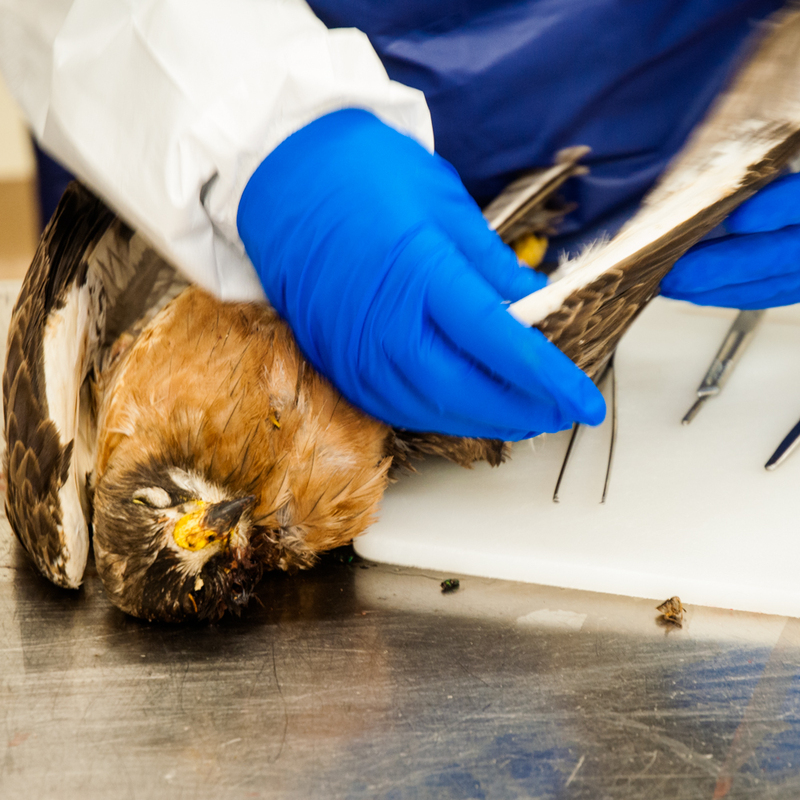 Findings varied from traumatic deaths (likely from motor vehicles) to mass mortalities (suspect botulism cases) to some of the weird and wonderful such as dilative cardio-myopathy in a duck. 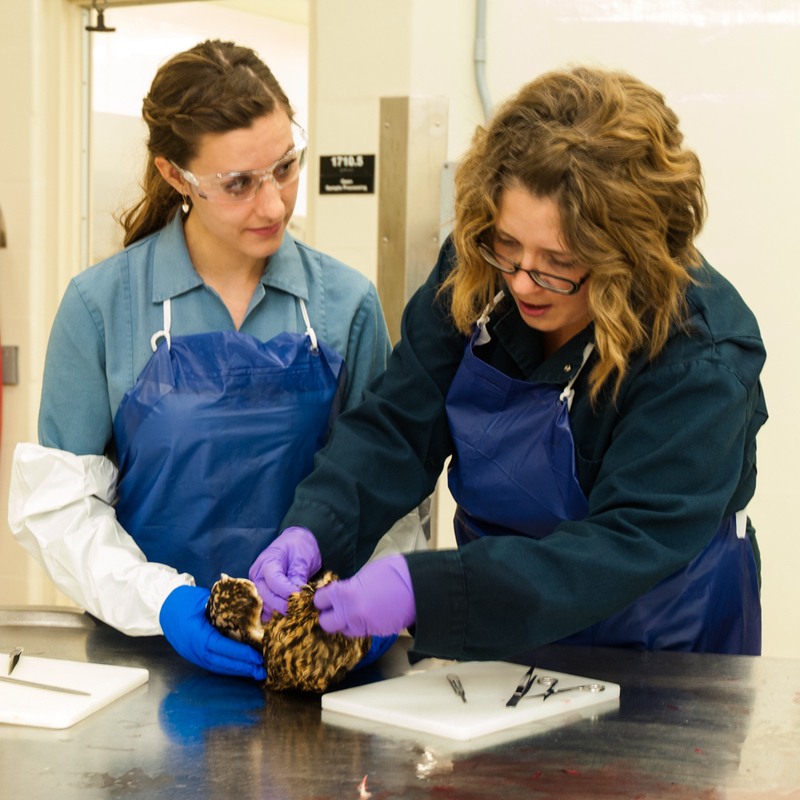 Most importantly, students got a chance to start learning how to differentiate normal from abnormal findings in species that they don’t necessarily deal with enough to always know what normal is. 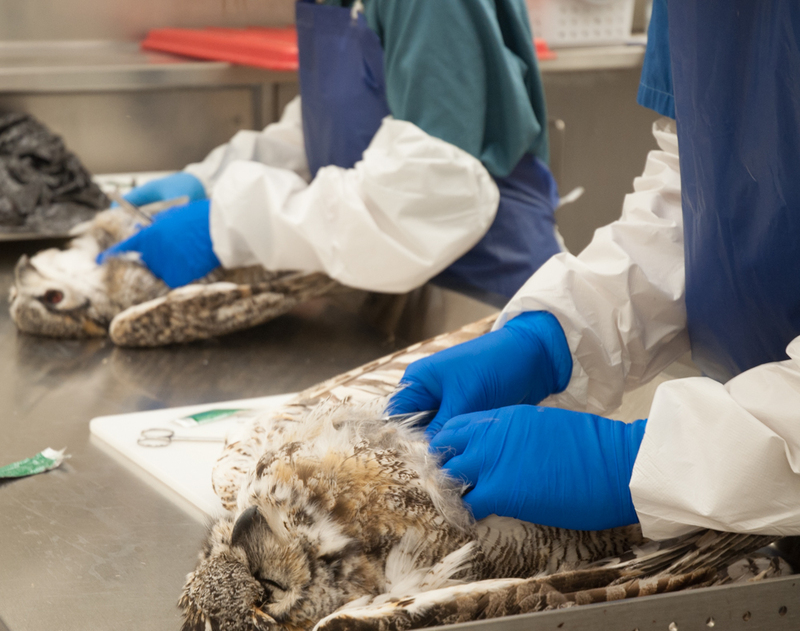 It was a great chance for University of Saskatchewan students to learn a bit about what the CWHC does and how pathology is an important tool in understanding and managing wildlife issues. Other local WDA activities include radio-telemetry labs, lunchtime speakers on wildlife issues, and the annual WILD Karaoke fundraiser night where people can pledge money to see their favourite professor get up to the mic and strut their stuff. A great time was had by all at the necropsy lab and the WDA sincerely appreciates all of the time and energy that the CWHC staff gave us! Canine distemper in coyotes in Saskatoon, SK.